The Lieutenant Governor launched a photography exhibition featuring the works of secondary school students from the GTA. The event focuses on the United Nations Sustainable Development Goals (UN SDGs) and is being delivered in partnership with the Aga Khan Museum and Learning for a Sustainable Future. 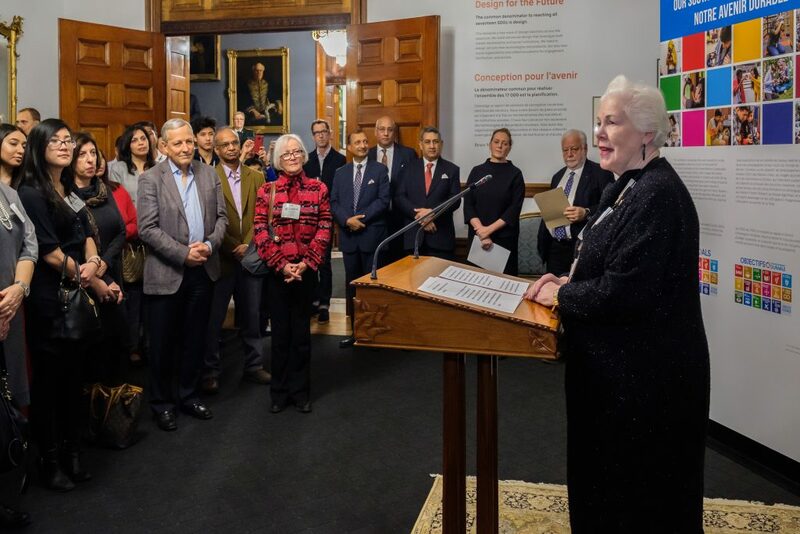 The Lieutenant Governor granted Honorary Patronage to the Aga Khan Museum in 2018. The Aga Khan Museum invited secondary school students and graduates of its Fredric Roberts Photography Workshop to focus their lens on issues of sustainability as they understood it. With backdrops including Flemingdon Park and Thorncliffe Park, students explored how the UN SDGs can be visually explained and applied, building a bridge from the local to the global. Members of the public are invited to visit the exhibition at the Lieutenant Governor’s Suite for free until February 8. View photos from the launch here.